Some good news today: teens are less likely than in previous years to get unwanted sexual propositions over the internet. Does this mean To Catch a Predator is working? According to ScienceDaily, sort of. The University of New Hampshire Crimes against Children Research Center surveyed kids 10 to 17 about their internet use — it found that in 2010, 9% of kids surveyed had been the victim of unwanted sexual solicitation online. That's down from 13% in 2005, and down a full 50% since 2000. Study author Kimberly Mitchell says, "The arrests, the publicity and the education may have tamped down the sexual soliciting online." She and her coauthors note, however, that not all solicitations are from pedophiles — when kids knew the source of the propositions, half came from other kids. So while increased prosecution of predators may have helped lessen the problem, teens may be changing their behavior too. One thing that's not getting better is online harassment, which went up to 11% in 2010, from 9% in 2005. Study author Lisa Jones, however, points out that this problem hasn't been in the public eye for as long as sexual solicitation has — she says, "Hopefully, the new focus on online harassment will produce some of the same improvements in this problem that we have seen in sexual solicitations." Even if kids are still cyberbullying each other, it's encouraging to know that things on the internet can actually get better. Says Jones, "The constant news about Internet dangers may give the impression that all Internet problems have been getting worse for youth but actually that is not the case. 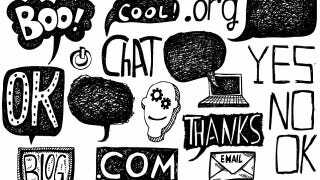 The online environment may be improving." Now if only something could be done about YouTube comments.